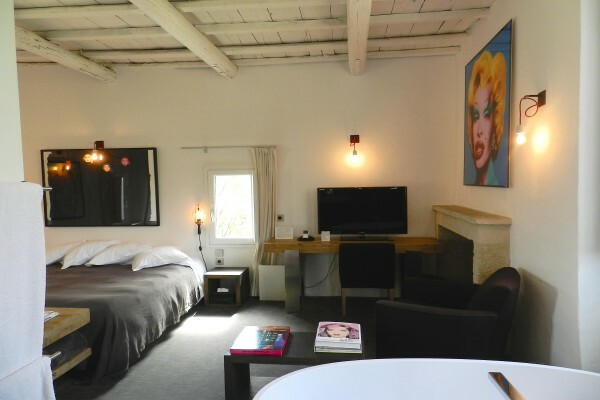 All the rooms and suites have air conditioning and a large super king-sized bed (2 meters), a large bathtub and a separate shower, a sitting room with a sofa and/or an armchair, a desk and a table. 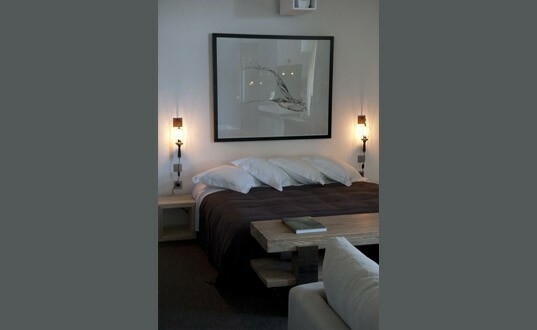 All the rooms and suites are equipped with a large plasma TV screen with a wide range of satellite channels in several languages, an ipod, a wifi connexion, a kitchen area (with a refrigerator, microwave, electric plates, Nespresso coffee machine and kettle), iron and ironing board as well as a safe. Pascal Morabito bath products, bathrobes, towels for the pool and flip-flops are at your disposal during your stay. 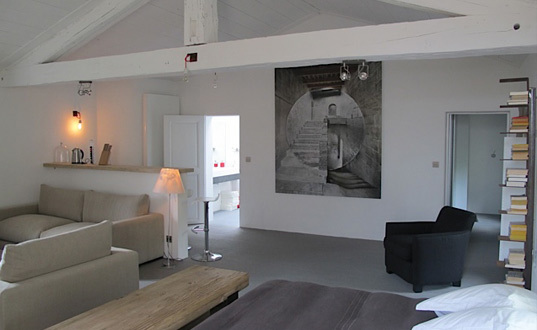 30 to 48 sqm2 room with views on the Eure’s valley and the Ventoux Mountain. Prepayment: The sum equivalent to 30% of the total amount will be charged by the hotel upon booking. 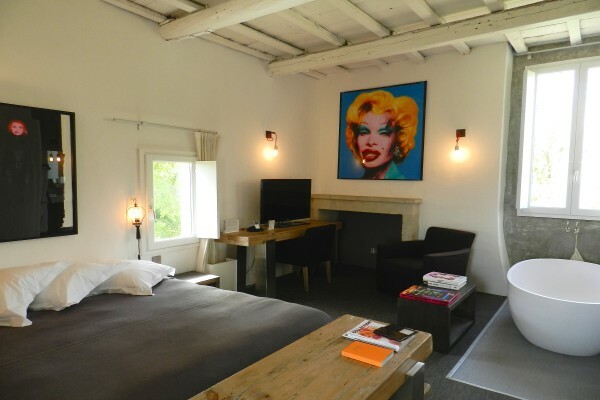 40 sqm rooms with views on the gardens and the Eure’s valley. 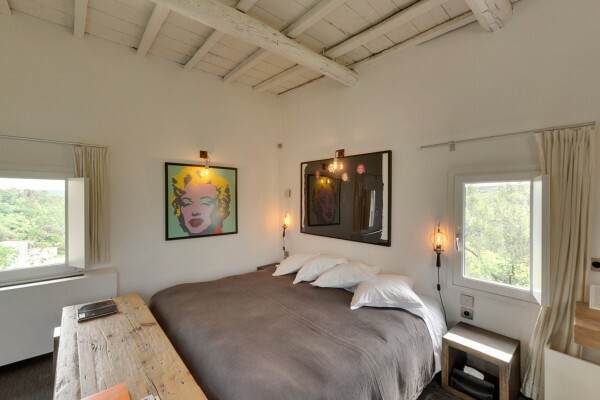 There is a 40sqm private garden directly accessible or NOT adjacent to the rooms with an outdoor bed, a shower and a reading area. 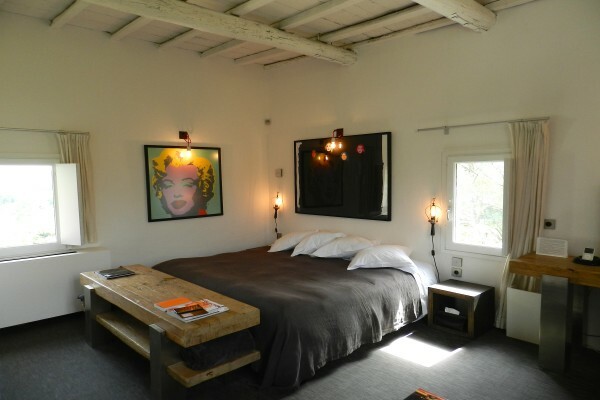 52 sqm2 rooms with views on the Eure’s valley and the Ventoux Mountain. 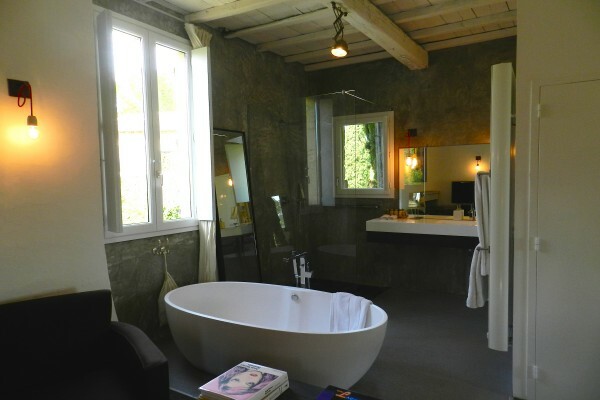 The suites have a private garden NOT ADJACENT TO THE ROOM of approximately 40sqm next to the pool with an outdoor bed, a shower and a reading area. 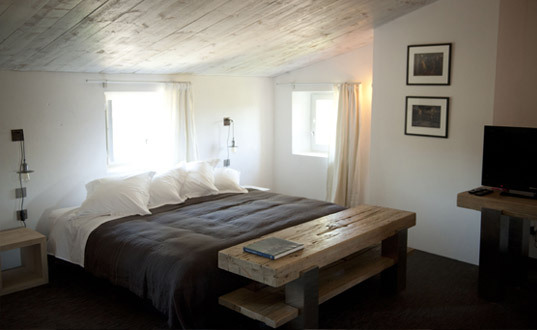 60 sqm suites with views on the gardens, the Eure’s valley and the Ventoux mountain. 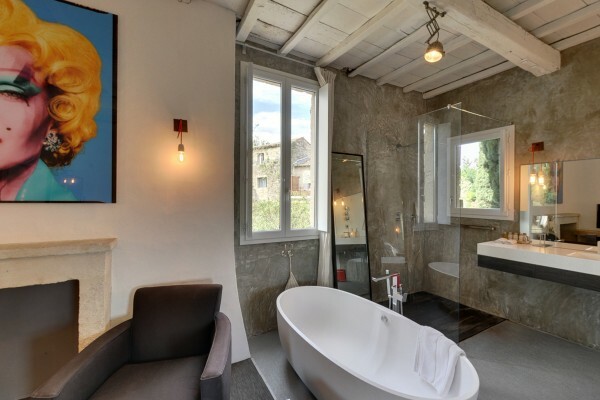 There is a 10 to 18 sqm private terrace directly accessible from the suites with a shower and hammock/chairs.